One of the most widely anticipated approvals in 2017 was for Dupixent (dupilumab, Regeneron Pharmaceuticals, Inc.) injection to treat adults with moderate to severe eczema. It is intended for patients whose eczema is not controlled adequately by topical therapies, or those for whom topical therapies are not advisable and can be used with or without topical corticosteroids. Dupixent is a human monoclonal antibody designed to specifically inhibit overactive signaling of IL-4 and IL-13, which are believed to be major drivers of the persistent underlying inflammation in AD. It comes in a pre-filled syringe and can be self-administered as a subcutaneous injection every other week after an initial loading dose. The safety and efficacy of Dupixent were established in three placebo-controlled clinical trials with a total of 2,119 adult participants. Overall, participants who received Dupixent achieved greater response, defined as clear or almost clear skin, and experienced a reduction in itch after 16 weeks of treatment. Dupixent can cause side effects, such as serious allergic reactions and eye problems, such as pink eye (conjunctivitis) and inflammation of the cornea (keratitis). The most common side effects include injection site reactions; cold sores in the mouth or on the lips; and eye and eyelid inflammation, including redness, swelling, and itching. The newly branded Ortho Dermatologics division of Valeant debuted at the American Academy of Dermatology’s summer meeting in New York. At the same meeting, the company officially launched Siliq (brodalumab) for psoriasis. Siliq is a monoclonal antibody that targets the IL-17 receptor A for the treatment of moderate to severe plaque psoriasis in adult patients. Siliq was approved in the first quarter of 2017. It has a Boxed Warning for risks of suicidal ideation and behavior. Siliq was approved with a Risk Evaluation and Mitigation Strategy (REMS) involving a one-time enrollment for physicians and one-time informed consent for patients. The most common adverse reactions were headache, arthralgia, fatigue, oropharyngeal pain, and diarrhea. Siliq is contraindicated in patients with Crohn’s disease. Suicidal ideation and behavior have occurred in patients treated with Siliq. Serious infections have occurred, therefore caution should be exercised when considering the use of Siliq in patients with a chronic infection or a history of recurrent infection. Patients should be evaluated for tuberculosis infection prior to initiating treatment. 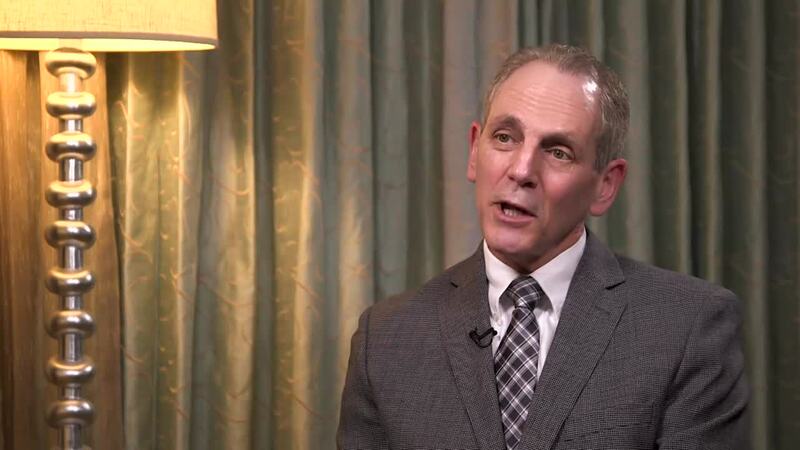 Lawrence Green, MD, said Siliq has been a welcome addition in his practice, explaining that patients may see results as early as two weeks into treatment. The benefits of treatment—that it is so effective and effective so quickly—far outweigh the risk, he adds. In the pipeline is a new topical treatment for psoriasis. “We have publicly discussed IDP-118 (halobetasol propionate and tazarotene) for the treatment of psoriasis and we believe this is true innovation and that patients and physicians will come to appreciate that if it is approved and when we launch,” Mr. Humphreys said. Janssen’s Tremfya (guselkumab) received FDA approval for the treatment of adults with moderate to severe plaque psoriasis. Tremfya is the first and only approved biologic therapy that selectively blocks only IL-23, a cytokine that plays a key role in plaque psoriasis. Approval comes after an expedited regulatory review following application of an FDA Priority Review Voucher. Tremfya is administered as a 100mg subcutaneous injection every eight weeks, following two starter doses at weeks zero and four. 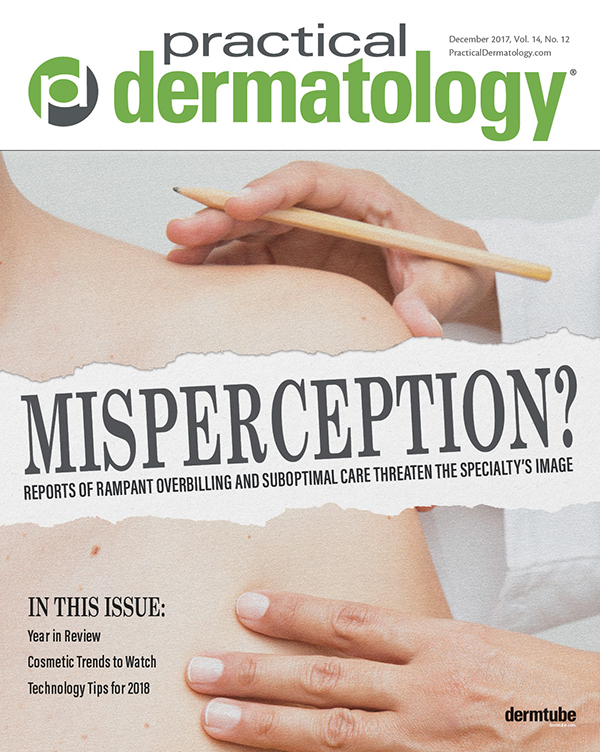 By year’s end, the dermatology community may know the FDA’s decision on AT-101 40% topical solution, the topical treatment for seborrheic keratosis developed by Aclaris Therapeutics., Inc. Recently, CEO Neal Walker, DO, FAAD, MBA, spoke with Practical Dermatology® magazine about Aclaris and its investigational therapy. AT-101 is under FDA review currently. What stands out to you in the data? How are clinicians reacting? Neal Walker, DO: I think it’s been a very positive response mainly because it’s one of the most common things we see as dermatologists. When I used to practice, I would see about 80 patients in a day; half of them, at least, would have SK. They all come and ask. I think the thing that resonates with the doctors is that they already have these patients in the office. The problem was the headwind was always concern about creating a new issue for the patient. One of the worst things you can do is create a mark for a mark. If you’re removing something strictly for aesthetic reasons, you don’t want to do that. SK shouldn’t be a throw away lesion—something you ignore. The patient’s coming in and asking you about it. They want an option. You’re the expert as the dermatologist. Treat it. What is the treatment protocol like for the patient? Dr. Walker: There’s a continuum of minimally invasive procedures, starting with peels and microdermabrasion on one end and more complex things at the other end. Basically, a patient comes in, the dermatologist identifies the SK as a benign lesion and tells them, “Look, this is aesthetic. This won’t be reimbursed.” It falls into that aesthetic category. Staff can apply the treatment. In fact, in our Phase 3 studies we had staff apply it, which we think that some offices will absolutely do. AT-101 has a pen-like applicator. In our clinical studies, we allowed up to two applications. That was sufficient for many facial SKs to reach clear or near clear status in the trials. If somebody needs more treatment because the lesion is a little thicker, we did an open label study that allowed up to four applications. Do you foresee any challenges to adoption and clinical integration? Dr. Walker: Let’s say there are about 12,000 dermatologists in the US. Based on all the research we’ve done, we think our target audience is about a third of them out of the gate, because you want those early adopters. We’re focused on the face and neck. That’s where our product really does well. That’s where the highest aesthetic need is. We want to go to those offices that have that patient population. Urban, suburban, females, 40 to 50s, willing to pay, really concerned with the aesthetic outcome—that’s our initial target out of the gate, and then we’ll continue to grow from that base. You want to grow from the right target base. Do you think as adoption grows that this could serve as a gateway treatment for those practices that aren’t aesthetic but patients are going to drive demand? Dr. Walker: Absolutely. There’s not really an artistry component, as with Botox or a filler. In this case, it’s a very simple procedure that can be handed off to staff. We’ve called it a gateway kind of aesthetic procedure in the past because it is a crossover. It’s a medical diagnosis that should be treated as an aesthetic lesion. What do you feel that the approval means for Aclaris as a company? Can you talk a little bit about pipeline or other areas that you are looking at for future work? Dr. Walker: Once you get commercial, it puts you on the map. We have a lot of visibility because we’re a publicly traded company, but certainly having a commercial product hopefully at the end of December, we’ll have a fully integrated company with a sales force. We’ve always had a great R&D infrastructure. We recently added on discovery capability. Our goal in doing all this was to be a fully integrated company. We think we have the right perspective and right vision, having practiced and really knowing what dermatologists really want before thinking about where the market’s going. The areas we’re investing in are aesthetics, minimally invasive procedures—obviously high growth markets—white space opportunities where there truly is nothing approved. I think a lot of people have ignored those areas maybe because they don’t know about them. It’s not topline like a psoriasis. We’re also interested in immunodermatology. I think we’ve seen the great things companies like Regeneron has done in identifying a great new drug for atopic dermatitis. We’re focused on JAK inhibitors and small molecule kinase inhibitors. That was part of our acquisition in August. The team that developed tofacitinib had a drug discovery platform that focused on small molecule kinase inhibitors. In clinical studies, patients receiving Tremfya experienced significant improvement in skin clearance and greater improvement in symptoms of plaque psoriasis, including itch, pain, stinging, burning, and skin tightness when compared with placebo at week 16. Superior results in skin clearance (PASI 90) were demonstrated with Tremfya compared with Humira (adalimumab) at weeks 16, 24, and 48. The FDA also approved an expanded indication for Janssen Biotech, Inc.’s Stelara (ustekinumab) for the treatment of adolescents (12 years of age or older) with moderate to severe plaque psoriasis. Approximately one-third of individuals who develop plaque psoriasis are thought to do so before 20 years of age. The approval of Stelara for the adolescent indication is based on data from a Phase 3 study designed to evaluate the efficacy and safety of subcutaneous administration of Stelara in patients aged 12 years or older. At least two-thirds of patients receiving Stelara were responders at the week 12 primary endpoint after just two doses at weeks 0 and 4, defined by achieving a Physician’s Global Assessment (PGA) score of 0 or 1 (cleared or minimal psoriasis). Safety findings for adolescent patients treated with Stelara were consistent with those seen in studies in adults with plaque psoriasis. A new rocasea classification system developed by a consensus panel convened by the National Rosacea Society (NRS) and published in Journal of the American Academy of Dermatology may change the way that clinicians approach the common skin disorder. According to the new system, the presence of one of two phenotypes—persistent redness of the facial skin or phymatous changes—is considered diagnostic of rosacea. Additional major cutaneous signs often appear with the diagnostic features. Secondary phenotypes, which must appear with one or more diagnostic or major phenotypes, include burning or stinging, swelling, and dry appearance. Signs suggestive of ocular rosacea include telangiectases on the eyelid margin and bloodshot eyes, as well as inflammation and growth of fibrous tissue on the eye. Burning, stinging, light sensitivity and the sensation of a foreign object may also occur, as well as conjunctivitis, inflammation of oil glands at the rim of the eyelids (blepharitis), and crusty accumulations at the base of the eyelashes, in addition to others. The new classification has implications for treatment, Dr. Gallo maintains. “When one sees phenotypes more involved with active inflammation and tissue changes, one may be directed towards therapies that address those aspects of the disease. On the other hand, if the changes reflect more pure vascular changes, then the therapies may go more towards targeting the vascular bed rather than the inflammatory system. Since both, really, exist in this disease,” he explains. Although the FDA approved Boehringer Ingelheim’s Cyltezo, a biosimilar to Humira, the agent is not commercially available due to ongoing patent litigation. Cyltezo was approved in a pre-filled syringe for the treatment of multiple chronic inflammatory diseases, including moderate to severe plaque psoriasis, active psoriatic arthritis, moderate to severe active rheumatoid arthritis, active ankylosing spondylitis, and moderate to severe active adult Crohn’s disease. Boehringer Ingelheim says it will seek approval for an auto-injector of Cyltezo as another delivery option for patients. Isdin’s Nutraseb Facial Cream, a steroid-free topical prescription for the multi-symptom management of facial seborrhea and seborrheic dermatitis (SD), launched this summer. Nutraseb is a fragrance-free, water-based emulsion formulated to target inflammation, fungus, sebum, and scaling. In one study that evaluated the efficacy of Nutraseb for facial seborrheic dermatitis, the cream was successful in 87.5 percent of patients with mild dermatitis. Nearly 80 percent of patients considered the cream to be good or excellent. A significant number of patients had a decrease in erythema. A second study demonstrated that after 20 people used the treatment for 21 days, more than 90 percent reported improvement of their symptoms, with the added bonus of skin moisturization. Galderma’s Differin Gel 0.1% (adapalene) went over the counter (OTC) in January. Differin Gel 0.1% (adapalene) was approved for over-the-counter use in July 2016. In addition to Differin gel, the new OTC line includes Differin Balancing Moisturizer and Differin Balancing Cleanser. Xstrahl received FDA 510k clearance for marketing its Photoelectric Therapy System for skin cancer. The compact and ergonomic superficial X-Ray therapy system operates in the 10kV to 80kV range intended for superficial radiotherapy and surface electronic brachytherapy treatment of primary malignant epithelial neoplasms of the skin and keloids. Using a depth dose profile for the treatment of superficial skin lesions, the high-dose output enables treatment times to be kept to a minimum. Typical applications include treatment for basal cell carcinoma, squamous cell carcinoma, metatypic carcinoma, cutaneous appendage carcinoma, Karposi’s sarcoma, Merkel cell carcinoma, lentigo maligna, lentigo maligna melanoma, cutaneous lymphomas (B and T cell), and keloids. The FDA has approved the Scibase Pre-Market Approval (PMA) for Nevisense, a device for the early detection of malignant melanoma. The device is intended for use on cutaneous lesions with one or more clinical or historical characteristics of melanoma, when a dermatologist chooses to obtain additional information when considering a biopsy. Looking Ahead: Fibrocell Science, Inc.
Fibrocell Science, Inc., a gene therapy company focused on transformational autologous cell-based therapies for skin and connective tissue diseases has been granted Rare Pediatric Disease Designation for FCX-013, its gene therapy candidate for the treatment of moderate to severe localized scleroderma. The Rare Pediatric Disease Designation augments the Orphan Drug Designation previously granted by the FDA to FCX-013 for the treatment of localized scleroderma, which includes linear scleroderma. John Maslowski, President and CEO, Fibrocell Science, talked about the company and its pipeline. Could you give some context on Fibrocell and why it has focused on autologous therapies? John Maslowski: Our approach to personalized biologics is distinctive based on our proprietary autologous fibroblast technology. By extracting fibroblast cells from a patient’s own skin, we create localized gene therapies that are compatible with the unique biology of each patient and have the potential to address the underlying cause of disease. Use of autologous therapies reduces the concern of an immunological reaction to the cells as opposed to allogeneic approaches. What are some of the challenges associated with autologous technologies? Mr. Maslowski: Because autologous therapies are custom manufactured for each patient to create a personalized therapy, critical aspects of manufacturing and logistics must be addressed. The operation must have controls in place to ensure traceability of cells throughout the entire manufacturing life cycle. Scale-up of autologous manufacturing must be carefully considered to ensure lot-to-lot consistency and efficiency. Many new technologies and rapid test methods have been developed to reduce costs. Fibrocell has developed such controls and evaluated new technologies as a result of our long history with autologous fibroblast manufacturing and applied them to our genetically-modified fibroblast platform. We believe the fibroblast is an ideal vehicle, as it is the most common and abundant type of cell in the dermal layer and allows us to target specific genetic diseases of the skin. How did Fibrocell hit on FCX-007 for RDEB? Mr. Maslowski: The concept for FCX-007 began with the initiation of our partnership with Intrexon Corporation. The basis of this partnership was to bring together our regulatory-vetted autologous fibroblast program with Intrexon’s synthetic biology tools to target rare skin diseases that are monogenic in nature. RDEB is caused by a mutation in a single gene known as COL7A1, which encodes a protein called type VII collagen (COL7). A lack of functional COL7 expression leads to a reduction or loss of anchoring fibrils—the structures that adhere the layers of skin together. This collaboration with Intrexon enabled us to create FCX-007. We began with early product development work, optimizing vector efficiency and characterizing the cells. It was important to determine that the COL7 protein being produced was functional, as verified by several assays created by the team. We moved into pre-clinical pharmacology with the help of Key Opinion Leaders at Stanford University School of Medicine, who have been researching EB for decades. We eventually completed toxicology/biodistribution studies that led to filing an Investigational New Drug (IND) application for FCX-007 to the FDA. FCX-007 is currently under evaluation in a Phase 1/2 clinical trial. Twelve patients are targeted to be treated with FCX-007 consisting of six adults in the Phase 1 portion of the trial and six patients in the Phase 2 portion of the trial. Pediatric patients will be included in Phase 2, subject to FDA allowance. Through September 2017, three adult patients have been dosed and evaluated in follow-up. From this initial three-patient cohort, we observed encouraging safety, pharmacology and wound healing data 12 weeks’ post-administration. We expect to perform additional dosing of adult patients in the fourth quarter of 2017. Furthermore, subject to FDA allowance, we expect to begin enrollment of pediatric patients in the first quarter of 2018. How could FCX-007 benefit patients? Mr. Maslowski: Our hope is FCX-007 promotes wound closure and provides durability of the skin after healing. The dosing frequency will be determined during the clinical program of FCX-007. Potentially, the treatment will be administered over the course of the patient’s lifetime as new wounds emerge in different anatomical locations. Mr. Maslowski: Our second gene therapy product candidate, FCX-013, is in pre-clinical development for the treatment of moderate to severe localized scleroderma. FCX-013 is an autologous fibroblast genetically-modified using lentivirus and encoded for matrix metalloproteinase 1 (MMP-1), a protein responsible for breaking down collagen. The goal is to reduce the fibrotic lesions and restore normal function and development. We are currently performing GLP toxicology and biodistribution studies, and plan to submit an IND application for FCX-013 to the FDA in the fourth quarter of 2017. The FDA’s accelerated approval of Bavencio (avelumab) for the treatment of adults and pediatric patients 12 years and older with metastatic Merkel cell carcinoma (MCC) including those who have not received prior chemotherapy, makes it the first FDA-approved treatment for metastatic MCC, a rare, aggressive form of skin cancer. Allergan’s Rhofade (oxymetazoline) cream came to market for the topical treatment of persistent facial erythema associated with rosacea in adults. Among the estimated 16 million Americans with rosacea, persistent facial redness is cited as the most common sign of rosacea. In a National Rosacea Society survey, cited by Allergan, 65 percent of rosacea patients said their symptoms first appeared between 30-60 years of age. In two clinical trials, a once-daily application of Rhofade was proven to reduce persistent facial erythema associated with rosacea through 12 hours. The primary efficacy endpoint was at day 29 and defined as the proportion of patients with at least a 2-grade reduction in erythema (improvement) from baseline (pre-dose on day 1) on both the clinician erythema assessment (CEA) and subject self-assessment (SSA) (composite success) measured at hours 3, 6, 9 and 12 versus vehicle. CEA and SSA also measured at Days 1 and 15 at hours 3, 6, 9, and 12. 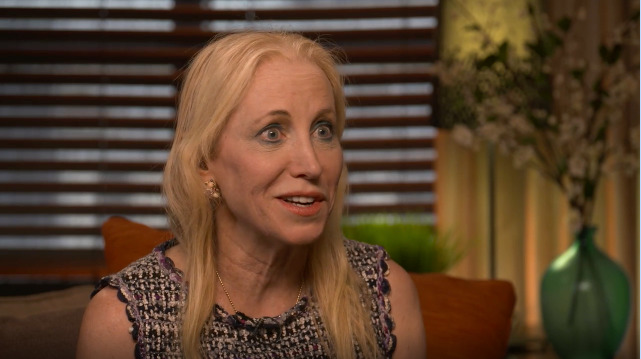 “We now have oxymetazoline (Rhofade) approved to reduce the appearance of the redness of rosacea and data from the clinical trials, which we participated in, shows high efficacy, great safety, and long-lasting results with no appreciable rebound as a result of its use,” observed Michael H. Gold, MD Medical Director and Founder, Gold Skin Care Center, Advanced Aesthetics Medical Spa; The Laser & Rejuvenation Center, and Tennessee Clinical Research Center, Nashville.